God is seeking an encounter with us. Like the father off at a distance looking afar for his errant son to return, so our God is searching for the lost. In time God has begun to intercept man in his path to destruction so that He might spare and save. Deuteronomy is a book that helps us see God’s extreme faithfulness for He is reaching out again to those that have spurned His word. Just as the professing Christian has been turned off by the church or fascinated with the world, so God seeks to call them back. The purpose of Deuteronomy is to remind God’s people of His faithfulness and kindness so that they together embrace God’s future for them. Although this book is written far in the past (around 1500 BC), it is ever so applicable to God’s people today. As we look around, we find man sliding away from God’s presence. There does not seem much hope except the portrait we see here of God’s patient dealing with His people. Just this past week, a brother I was talking to almost started weeping as he thought about how far God’s people have strayed from God’s presence. Deuteronomy seems best separated into four sections in order to bring us back to a full and strong standing with Him. We could look at it as His steps of faithfulness. We are focusing on this first step: A. Reconnecting with God’s Purpose (Chapters 1-4).1 A new generation grew up before Moses, but God’s purpose remained the same. Through an elaborate rehearsal of events, good and bad, Moses reconnects that generation with God’s unchanging purposes. Each generation has its opportunity to understand and join God in His greater purposes. We ourselves have an opportunity to be one of those generations that listen and turn to God and see His mighty works in our midst. Every generation has that tension between their love for God and the world. What is your response? Each of us have part of our own lives lived out. This is our past or history. Each of us have been born into a certain context of time and culture. Each of us have our own set of challenges. This section in Deuteronomy helps us to relive the experience of God’s people many years ago. What is written in these chapters enables us to see why and how to return to the Lord in the fullness of our vision. My wife and I recently visited Williamsburg, Virginia. It is a living history lesson acting many aspects of the American revolution. 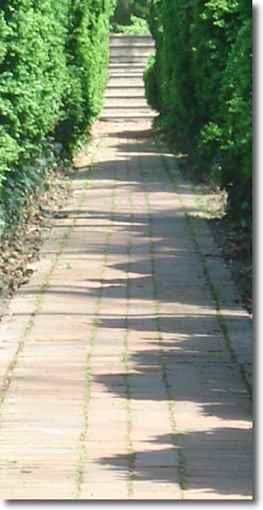 ￼The main pathway from the parking lot into the historical area was very interesting because of certain things imprinted in the ground. Every number of steps was another engraving stating what was or not happening at that time in history. In 1940 no one would have television sets. They kept going back into time until one read that you were now entering the time around 1776. And there we saw people in full costume, speech, original houses and plantations as it was back then. We are doing something like this in this series on Deuteronomy. We will move forward, but God first wants to walk us through the past. Deuteronomy 2-3 picks up from the end of chapter 1 where they were left in Kadesh-Barnea. That was a most significant spot. They rebelled against the Lord there. It was just a meeting like any of our church meetings or leadership meetings. They made their vote. They chose not to go in. Yes, they had their reasons. They had the two opposing sides. But when their decision was fixed against what the Lord told them to do, it was then the first entry way into the Promised Land was closed. That was the only door that generation would ever find. The implication is that they would never get into the Promised Land. What could have been a few years of transition found them to be forever locked out. “Then the LORD heard the sound of your words, and He was angry and took an oath, saying, ‘Not one of these men, this evil generation, shall see the good land which I swore to give your fathers,” (Deuteronomy 1:34, 35). What amazes us at all is that the story goes on. Yes, that generation never gets to enter but God recreates a new setting for the next generation. 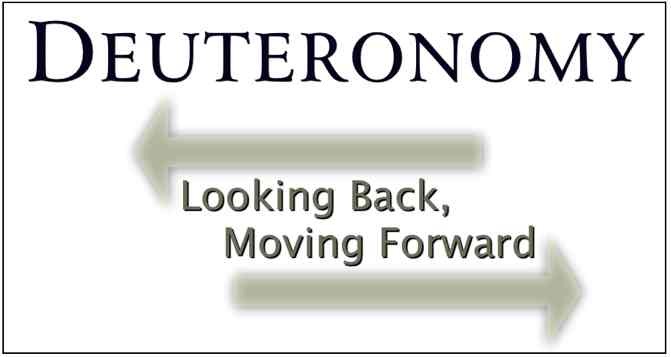 The name Deuteronomy comes from the Latin, for ‘second law’ or covenant. The first covenant given in Exodus was turned down so to speak by the first generation. They rejected it by not obeying the Lord. But God was giving this second a generation a new opportunity, and for Israel as a whole, a second chance. The Lord 38 years later opened another door into the Promised Land. We will through these two chapters March through these years with them and go right up to that Promised Land. Remember this is history here, not just for us but for the first hearers. Moses had this recorded for the second generation and was presenting them these things so that they might obey and go into the Promised Land. For us, then it is an opportunity for us to remember what is so important for us at this point in our lives. You might think of your busy school schedules, frustration with finding a good job opportunity, learning how to care for a little one, or busy waiting for the right spouse. But brothers and sisters, our life is not really about these things. There are decisions behind these decisions. As much as we think of ourselves as individuals with our own decisions, we are also God’s people. Our responses and opportunities are interconnected. What is God trying to do in our lives? Have we rebelled from His purposes? Have we been so protective of getting a good place in the world that we have in fact disdained the greater things He has for you and us as a whole? These are important questions. One door has been shut. Will we enter the other? As much as we say that we want to know God’s will, remember that if He reveals to you what He wants, then you are responsible for this knowledge. On the good side, God wants to give us the best. He has prepared it for us. He presents the greater spiritual blessings recorded for us in Ephesians. “He “has blessed us with every spiritual blessing in the heavenly places in Christ” (Ephesians 1:3). What we find as interesting is how the Lord goes over their life history together. I just came back from my 30th wedding anniversary celebration. An important part of that celebration is to reflect. We want to give time to think what God has done for Linda and I. We talked a lot about life and our marriage. For example, Linda commented on how I say, “We have a great marriage!” She explained, “It has not always been so good” (She wonders whether I remember them. How can I say that our marriage is so great? I know we have gone through struggles. Our marriage has gone through its struggles. We have had our own personal battles with our flesh so that we could be properly devoted to each other. I told her that I did not forget these times. But I am so happy that we have been able (1) to get where we are and (2) be with her through these struggling times. A good marriage is built on a lot of good decisions over time. Taking a look back on our lives is important. As I get older, I appreciate this historical look more and more. I can step back one, two, three or even four decades now and look at life then and now. Grace is what we find when we walk this historical trail. Even though you might only be ten years old or passed your twenties, I would encourage you to begin to catch what God is doing in your life. The events you face in life including your struggles with pimples, finding friends, partner, patience, etc., are all special markings in your life. They are your opportunity to see God working. A good friend of mine, Bob Jamison, president of Family Guidance, has once shared with me his precious miracle box. Inside are all sorts of fine and wonderful things God has done in this ministry. Each item stands for some special event. Let me introduce three things out of this treasure chest of memories. 1) A blue Matchbox van represents a miraculous answer of prayer for transportation for their Club kids. 2) A photocopy of a five-figure check written, unknown to the board, by a stranger to the ministry, AT THAT VERY MOMENT the board had been deliberating on starting a new program. The board decided that to be financially prudent they should not move ahead of God, and that they would start this new ministry if and when God provided start-up money for them. God wanted them to start right away! 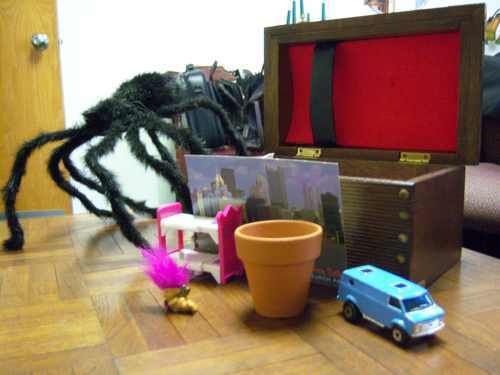 3) A toy spider is a reminder of the cabin of girls at camp who were away from home for the first time. The girls were terribly frightened of the wolf spiders who had infested their cabin and who refused to be eliminated by spraying, swatting, etc. The girls prayed simply, humbly, yet urgently -- some of them for the first time in their lives -- and from that moment on the girls did not see any more spiders during the rest of their stay at camp. Do you see what he has done? At some point in the ministry, he said God is doing great things here. We are His people. We belong to Him and we will watch Him do great things according to His His love and faithfulness. God wants us in a similar way to note how He is working. What is it that you have seen God do? What was so special about it? Today we will take a quick survey of how God led His own people. This account is more significant than our own accounts. This has been recorded in His Word so that it might shape how we perceive our own lives. In this case and in every one that we might observe, there should be a resounding message that comes forth: God is faithful and gracious. He treats us better than we deserve. We cannot live without Him. We do not want to live without Him. In chapter one, we have found how God can act quite stern. He is serious about how His people live. If this was the only picture of the Lord, then it would be quite askew. God has revealed Himself in a much fuller way here. “Know therefore that the LORD your God, He is God, the faithful God, who keeps His covenant and His lovingkindness to a thousandth generation with those who love Him and keep His commandments; but repays those who hate Him to their faces, to destroy them; He will not delay with him who hates Him, He will repay him to his face” (Deuteronomy 7:9-10). His sternness or severity (Romans 11:22) is not his bad side like we might describe a person in his or her change of moods. This is the Lord. We might want to change the way He is or feel apologetic for some of His decisions, but He does not. God cannot be better. The wise person understands God and rightly responds to Him. In Deuteronomy 1 Moses stated how God was angry with His people (1:34) and even with Moses (1:37). The consequences were obvious to the succeeding generation. It was their parents and uncles and aunts who died in the wilderness. If they obeyed, they could have entered the Promise Land within two months time of coming out of Egypt, but now all their bones are buried in the sands of the wilderness. Chapters 2 and 3 show how God is extreme on grace. Remember this chapter is built on the foundation of chapter 1 where God severely punished God’s people. (Of course, even here God exercised His grace). In chapters 2 and 3 we see God’s kind treatment of this same people. Yes, the older generation was going to die off, but why was God being so patient with the second generation? Chapter 2 picks up at Kadesh Barnea and takes them on a survey of their 38 year journey to the second entrance to the Promised Land. We will first look at these steps of grace, and then more specifically apply them as a whole to our lives. When we look at their challenges and the precautions that they receive, we should be seeking the Lord as to what they mean for our own lives. Then we turned and set out for the wilderness by the way to the Red Sea, as the LORD spoke to me, and circled Mount Seir for many days. “And the LORD spoke to me, saying, ‘You have circled this mountain long enough. The Israelites were not allowed to cause any problems in the land of Edom. This land was given to the descendants of Esau. Perhaps the land of Edom got its name from Esau’s red hair for Edom means ‘red’. They lived around Mt. Seir (See more in Genesis 36). Why is it that Edom did not allow them to go through even though promising to pay for their food and drink? We are not sure. The passage itself refers to the fear of the Edomites. They were commanded by God not to provoke them. We see through the comments on how they were to pay for their food and needs that God had sufficiently taken care of them. 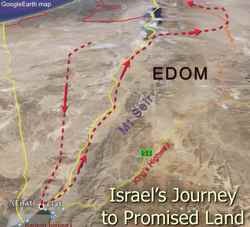 It is also possible that Edom’s refusal to let Israel through to walk on the King’s Highway could be a result of the tedious relationship between Jacob and Esau’s descendants over the years. The King’s Highway was the normal and easy road of travel. Mount Seir refers to a whole series of sharp mountains. The refusal of the Edomites for Israel to pass through was not mentioned here in this passage. One needs to look at Numbers 21 to read of this in greater detail. There in Numbers 21 it speaks about the pathway they traveled. They appear to have gone along the west side of Edom up along the Arabah’s barren valley from Elath (Ezion-Geber -north of where it is now) up to the southern point of the Dead Sea where they went eastward along a river valley between Edom in the south and Moab in the north. Do you see that God was focusing them on His provision rather than their lack of faith. God was shaping their history by steering them to think rightly about the Lord. Paul says ‘renew your minds’ (Romans 12:1). Was the land difficult to travel? Most definitely. We should not think of this as a nice river valley but a treacherous hot path through sharp ridges. God had His principles, however, and they would stay firm. One could insist that they had every right to travel through this main trade road through Edom, but God did not want to trouble them. Remember that this was not just a few people traveling through the land but a whole nation. Moab was one of Lot’s descendants2 just as Ammon (see following section). The Lord was watching over their territory just as He watched over Edom. The Lord gave Ar, the capital, to the Moabites. “So we passed beyond our brothers the sons of Esau, who live in Seir, away from the Arabah road, away from Elath and from Ezion-geber. And we turned and passed through by the way of the wilderness of Moab. “Then the LORD said to me, ‘Do not harass Moab, nor provoke them to war, for I will not give you any of their land as a possession, because I have given Ar to the sons of Lot as a possession” (Deuteronomy 2:8-9). They were not to ‘harass’ Moab or provoke them to war. The Lord was again very clear on what they were to and not to do. The most straightforward way would have been to go through the middle of Moab over the King’s Highway which proceeded north and south. We are not sure whether Moab refused them as Edom had, but the fact is that they went around Moab. Although not mentioned here, Moab and Ammon refused to trade food to the Israelites. “No Ammonite or Moabite shall enter the assembly of the LORD” (Deuteronomy 23:3). They went northward until the Dead Sea and from their went east along the River Zered which runs in between Edom and Moab. The precise journey is unknown. Places like Oboth and Lyeabarim mentioned in Numbers 21:11 are unknown where the details are given in fuller description. It is the description of the place “in the wilderness which is opposite Moab, to the east” which helps us see that they went fully around Moab rather than on the convenient King’s Highway. They came in from the east (the right side on diagram). God also kept the communities separate. The whole incident with Balaam is not mentioned here. By keeping fear between the communities, the Lord would preserve the uniqueness of the Israelites. Balaam finally used the merging of the communities to cause destruction which Phinehas put a quick stop to (Numbers 25:7). Again we see God focusing on the Israelite’s obedience in not harassing Moab and leaving out details about their sins. Crossing the Brook Zered (literally wadi which sometimes has water and often does not) it is pointed out that all the old generation died off at that point. This was not just a casual observation but had a severity spoken with it. The hand of the Lord was against them. “Now the time that it took for us to come from Kadesh-barnea, until we crossed over the brook Zered, was thirty-eight years; until all the generation of the men of war perished from within the camp, as the LORD had sworn to them. “Moreover the hand of the LORD was against them, to destroy them from within the camp, until they all perished” (Deuteronomy 2:14, 15). With the older generation gone, they were free to start something new. God was faithful to His oath that He took. Notice again this emphasis on God’s faithfulness (even though we might not want to attach His faithfulness to these matters). Ammon is the third country they passed through without fighting. 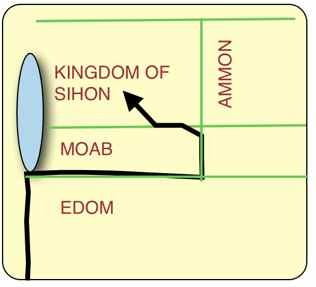 Ammon was like Moab, a descendant of Lot. Abraham should not even have brought Lot into the land, but now that he had come, they have to deal with the repercussions. The Ammonites like the Moabites refused to give water and food to the Israelites. The Israelites deliberately avoided the Ammonites because the Lord told them to. “And when you come opposite the sons of Ammon, do not harass them nor provoke them, for I will not give you any of the land of the sons of Ammon as a possession, because I have given it to the sons of Lot as a possession.’” (Deuteronomy 2:19). The Lord wants to be known as faithful. In this case, we see He did not play favorites. He respected the rights of all and in this case it meant their land. The Lord gave the land to whom He wished. Some can challenge the Lord’s arbitrariness or that God is a God of wrath, but we instead see that God is very deliberate and purposed. He keeps His Word. We are not saying that the Moabites or Ammonites were good people (they were not) or that they had adopted Yahweh. Clearly they did not. “Then Solomon built a high place for Chemosh the detestable idol of Moab, on the mountain which is east of Jerusalem, and for Molech the detestable idol of the sons of Ammon” (1 Kings 11:7). They would be enemies of God’s people for a long time along with their horrible religious practices. “Arise, set out, and pass through the valley of Arnon. Look! I have given Sihon the Amorite, king of Heshbon, and his land into your hand; begin to take possession and contend with him in battle. ‘This day I will begin to put the dread and fear of you upon the peoples everywhere under the heavens, who, when they hear the report of you, shall tremble and be in anguish because of you.’ “So I sent messengers from the wilderness of Kedemoth to Sihon king of Heshbon with words of peace, saying, ‘Let me pass through your land, I will travel only on the highway; I will not turn aside to the right or to the left. ‘You will sell me food for money so that I may eat, and give me water for money so that I may drink, only let me pass through on foot, just as the sons of Esau who live in Seir and the Moabites who live in Ar did for me, until I cross over the Jordan into the land which the LORD our God is giving to us.’ “But Sihon king of Heshbon was not willing for us to pass through his land; for the LORD your God hardened his spirit and made his heart obstinate, in order to deliver him into your hand, as he is today. “And the LORD said to me, ‘See, I have begun to deliver Sihon and his land over to you. Begin to occupy, that you may possess his land.’ “Then Sihon with all his people came out to meet us in battle at Jahaz. “And the LORD our God delivered him over to us; and we defeated him with his sons and all his people. “So we captured all his cities at that time, and utterly destroyed the men, women and children of every city. We left no survivor. “We took only the animals as our booty and the spoil of the cities which we had captured. “From Aroer which is on the edge of the valley of Arnon and from the city which is in the valley, even to Gilead, there was no city that was too high for us; the LORD our God delivered all over to us. “Only you did not go near to the land of the sons of Ammon, all along the river Jabbok and the cities of the hill country, and wherever the LORD our God had commanded us” (Deuteronomy 2:24-37). Only in the last two places visited, does a war occur. They were walking along the valley of Arnon that separates Moab and the land of King Sihon. The Lord from the beginning told them that He has given Sihon the Amorite king of Hesbon into the Israelite’s hand. God would send a fear into their hearts (2:25). They sent messengers to King Sihon requesting to safely pass through. They would not disturb the land and pay for food and water. God would pay for what they used. However, Sihon king of Heshbon hardened his heart and fought Israel. King Sihon lost the battle and so Israel rightfully occupied the land. Again, Israel was passive in this. She was just walking through a land. This is an often see situation whether it is here or in the Promised Land across the Jordan. A few incidents like Jericho are exceptions. Most of the battles were provoked by others. Although we see that they safely passed through, we should note that the scriptures do tell us that God hardened the King of Sihon’s heart. ““But Sihon king of Heshbon was not willing for us to pass through his land; for the LORD your God hardened his spirit and made his heart obstinate, in order to deliver him into your hand, as he is today” (Deuteronomy 2:30). We are meant to understand that God is intricately involved in our life affairs. Whether it involve a king or a little boy in a pasture. Remember how God appeared to Laban in a dream warning him not to harm Jacob? God is involved. Hardening someone’s heart is more difficult for some in this modern independent society.They think God should not dictate over a person’s affairs. This same thing happened when Israel was about to leave Egypt. The Lord hardened Pharaoh's heart. Ten times it speaks about Pharaoh's heart. Only five times does it say that the Lord hardened his heart. The other times spoke on how Pharaoh hardened his own heart. This probably was a similar situation but not expanded like in the Pharaoh’s situation. King Sihon hardened his heart and God hardened his heart. The Lord does say that when one does not exercise mercy, then they will be shown no mercy This becomes key to help us think through what it means when it says that God hardens one’s heart. God hardens a heart by withdrawing grace. Think what happens when the light is removed from the sky. What happens? Darkness creeps in. This is the same. God is light and extends His mercy over His creation. He protects the living by extending His grace. If He were to withdraw His undeserved kindness, then the devil takes full hold of the person or country. Darkness moves in. God is not inputting evil as much as withdrawing His preserving grace. This is difficult for some to accept because they believe that God owes us His grace and mercy. On the contrary, He only owes us judgment. When judgment is ready, He withdraws His grace. Note a few verses confirming this understanding below. “Has God forgotten to be gracious? Or has He in anger withdrawn His compassion? [Selah” (Psalms 77:9). “For thus says the LORD, “Do not enter a house of mourning, or go to lament or to console them; for I have withdrawn My peace from this people,” declares the LORD, “My lovingkindness and compassion” (Jeremiah 16:5). “‘So as I live,’ declares the Lord GOD, ‘surely, because you have defiled My sanctuary with all your detestable idols and with all your abominations, therefore I will also withdraw, and My eye shall have no pity and I will not spare” (Ezekiel 5:11). This is the reason an unseen dark evil crawls over a land before judgment. These verses have to do with God’s people, but the way God operates is the same. There are other passages that reveal the same thing about how God works in a given situation (Hosea 5:6; Jonah 3:9). De 2:5 do not provoke them, for I will not give you any of their land, even as little as a footstep because I have given Mount Seir to Esau as a possession. De 2:9 “Then the LORD said to me, ‘Do not harass Moab, nor provoke them to war, for I will not give you any of their land as a possession, because I have given Ar to the sons of Lot as a possession. De 2:24 ‘Arise, set out, and pass through the valley of Arnon. Look! I have given Sihon the Amorite, king of Heshbon, and his land into your hand; begin to take possession and contend with him in battle. De 3:18 “Then I commanded you at that time, saying, ‘The LORD your God has given you this land to possess it; all you valiant men shall cross over armed before your brothers, the sons of Israel. Through these verses we see another clear means God involves Himself in the world’s affairs. Actually, these are His affairs. The problem is that man insists that God has no rights in the world that He has made! When we look closely at what is actually said, we find that the Lord mentions this seven times in these two verses. Sometimes it speaks about God giving the land to Israel; at other times He affirms He has given it to another person or country. To the Israelites God says about Moab, “I have given Ar to the sons of Lot as a possession” (De 2:9). When God sees fit, He hands over the land to another such as in this case. “And the LORD said to me, ‘See, I have begun to deliver Sihon and his land over to you. Begin to occupy, that you may possess his land.’” Deuteronomy 2:31). God was doing it, but they were responsible for their own part. All land is God’s land. No man or country outright owns what they have. There always was a former tenant (the Lord) who has never relinquished His authority over the land. There was nothing immoral being done. The former verses recording how the King of Sihon attacked the Israelites is probably just to help us see that the land was put up as booty by the King of Sihon. No man or country ‘owns’ their land. They are under obligation to live rightly. At any time the Lord can cause another to come and take away. Man is a steward. On the one hand, people are told to obey their authorities but on the other the Lord gives the land to whom He wishes. In this case, King of Sihon passed into oblivion. His land was given to another. The land of Canaan on the other side was due justice. God will not explain their evil. It is obvious with His patient waiting for 430 years. But here, the Lord speaks clearly. This was not the first battle but it sure was a model one for fighting in the land. They saw God fight for them. Observe what they said, “No city ... was too high for us” (Deut 2:36). God was with them. Their victory did not allow them to get self-confident. Verse 37 reviews the clear way that the Israelites obeyed the Lord. They did not bother or go near the Ammonites. They remained under the Lord’s command. This is not how their fathers responded to God at Kadesh-Barnea. “Then we turned and went up the road to Bashan, and Og, king of Bashan, with all his people came out to meet us in battle at Edrei. “But the LORD said to me, ‘Do not fear him, for I have delivered him and all his people and his land into your hand; and you shall do to him just as you did to Sihon king of the Amorites, who lived at Heshbon.’ “So the LORD our God delivered Og also, king of Bashan, with all his people into our hand, and we smote them until no survivor was left. “And we captured all his cities at that time; there was not a city which we did not take from them: sixty cities, all the region of Argob, the kingdom of Og in Bashan. “All these were cities fortified with high walls, gates and bars, besides a great many unwalled towns. “And we utterly destroyed them, as we did to Sihon king of Heshbon, utterly destroying the men, women and children of every city. “But all the animals and the spoil of the cities we took as our booty. 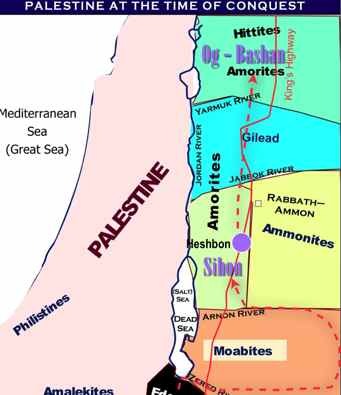 “Thus we took the land at that time from the hand of the two kings of the Amorites who were beyond the Jordan, from the valley of Arnon to Mount Hermon (Sidonians call Hermon Sirion, and the Amorites call it Senir): all the cities of the tableland and all Gilead and all Bashan, as far as Salecah and Edrei, cities of the kingdom of Og in Bashan. (For only Og king of Bashan was left of the remnant of the Rephaim. Behold, his bedstead was an iron bedstead; it is in Rabbah of the sons of Ammon. Its length was nine cubits and its width four cubits by ordinary cubit. )” (Deuteronomy 3:1-11). They continued north after that battle, probably on the King’s Highway, toward Bashan and Og. King of Bashan, came out to fight them. He was ready for battle. He was not going to just let the Israelites pass by with or without pay. They had no opportunity, as it reads from the book, to even mention their intention as they did with Moab. King of Sihon, the king of Bashan, was given into their hand by the Lord. They captured all sixty fortified cities and many that did not have (3:4). Those cities with walls could not stand the army of the Lord just as He said it wouldn’t. The Lord cautioned the people not to fear. Fear is an enemy to God’s work. 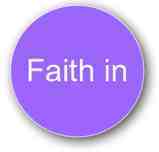 Fear holds back faith which would enable one to hear and be strengthened to do His will. Bashan is the second large piece of property that now belonged to Israel along with the booty. All the men, women and children were killed. Only the animals and other goods from the cities did they gather. “‘This day I will begin to put the dread and fear of you upon the peoples everywhere under the heavens, who, when they hear the report of you, shall tremble and be in anguish because of you.’” (Deuteronomy 2:25). Although the Lord dealt harshly with the people, He did not hide it. Even the children were killed (3:6). God does not apologize for His wrath. He might mention His justice being satisfied but more than often He does not. Every person, young or old, is culpable before God. No one is innocent. One would merely need to examine one’s culture to see the horrible way they lived their lives. The Lord, the Judge of the earth, as His Name is often called, will hold every soul accountable. “Arise, O God, judge the earth! For it is Thou who dost possess all the nations” (“Rise up, O Judge of the earth; Render recompense to the proud” (Psalms 82:8; 94:2). God provides for the Israelites a taste of victory. He has shown them how to be sensitive to His leading. He revealed how He puts fear in the hearts of the people. They were growing in their faith. We should not think of ourselves or our society as without guilt. God has called us to live according to principle rather than desire. He has made us to worship Him, but the people have devised their own religious ways. At any time the Lord can judge a people. He has this right and responsibility. Children might have less sin, but their sin fully demands the God of justice to fully judge them for what they have done and neglected. The Lord had come up with a plan on what to do with the conquered land. It would be part of the early distribution of land as well as implied responsibility. The 2 and 1/2 tribes on the east coast of the Jordan received their land distribution early on even before the conquering of the main land west of the Jordan. The main reason was to preserve what they have gained. They needed to live in the city and take care of the animals and plants, otherwise, others would come in and occupy it and things would go uncared for. The Lord wanted them to inherit the land and in that sense He wanted them to get a good start. There are other possible reasons. Militarily wise, It is quite impressive to not only eliminate two kings but occupy their land. Like a monopoly game, ownership has suddenly changed. This would increase the fear factor for their neighbors on both sides of the Jordan. Another major reason for this early distribution was to show the Israelites what they were to look forward to. All they had to do was conquer it with God’s help and the job would be done. They now had a model for them on the east side of the Jordan. The Lord had given this land to two and one half tribes. He did not want this to become the land for all the Israelites. So in this situation, they would have to conquer their own and could not just go back to the land already conquered. The Israelites who had gained their inheritance would still need to join the main army in conquering the rest of the land. This was obvious. Without it, there would be much disharmony, cause for lack of morale and maybe inner war as to who should get the land on the west of the Jordan. Starting in 3:18 Moses tells them to go over armed before their brethren. They would and did fight the main battles. They still needed to trust God, however. They left their wives, children and flocks all on the other side. They would first need to see victory on the east side of the Jordan before they could return. The advantage seen on not battling Edom, but especially Moab and Ammon, was that they now had neighbors who were not as jittery over the plans of Israel. Israel clearly avoided confrontation with these three countries. They could see that, whatever the reason, Israel was not interested in occupying their land. It would have been much easier for the Israelites to just go right through their land on the ‘public’ highway. But having respected their wishes, they became quasi-peaceful neighbors. “And I commanded Joshua at that time, saying, ‘Your eyes have seen all that the LORD your God has done to these two kings; so the LORD shall do to all the kingdoms into which you are about to cross. ‘Do not fear them, for the LORD your God is the one fighting for you.’ “I also pleaded with the LORD at that time, saying, ‘O Lord GOD, Thou hast begun to show Thy servant Thy greatness and Thy strong hand; for what god is there in heaven or on earth who can do such works and mighty acts as Thine? ‘Let me, I pray, cross over and see the fair land that is beyond the Jordan, that good hill country and Lebanon.’ “But the LORD was angry with me on your account, and would not listen to me; and the LORD said to me, ‘Enough! Speak to Me no more of this matter. ‘Go up to the top of Pisgah and lift up your eyes to the west and north and south and east, and see it with your eyes, for you shall not cross over this Jordan. ‘But charge Joshua and encourage him and strengthen him; for he shall go across at the head of this people, and he shall give them as an inheritance the land which you will see.’ “So we remained in the valley opposite Beth-peor” (Deuteronomy 3:21-29). In Deuteronomy 3:21 Moses begins to give a final word on the future leadership of the Israelites. He started by encouraging Joshua, his overall general, to remember how the Lord had fought for them for the Lord was going ahead of them to fight. “‘Do not fear them, for the LORD your God is the one fighting for you.’” (Deuteronomy 3:22). He was to live by faith rather than fear. Moses went on in a rare moment of openness about one conversation he had with the Lord. It almost reminds us a conversation that the disciples might have had with Jesus. There was great affinity between the Lord and Moses. Moses and the Lord have a conversation, and we hear (read) it! Amazing. Even more amazing is the content of this short dialogue. Moses candidly asks the Lord whether he could go over to that land. “‘Let me, I pray, cross over and see the fair land that is beyond the Jordan, that good hill country and Lebanon.’” Deuteronomy 3:25). Moses realized that this request went too far. He explains this in 3:26. The Lord was angry with him on their account. He was not going to change His mind on that matter to the point the Lord said, “Enough! Speak to Me no more on this matter” (Deut 3:26). This was the closing segment of Moses’ time on earth. After this he was to go to the top of Mt. Pisgah and see the land and then go to be with the Lord. Moses at this point also had to turn full authority over to Joshua. It is often difficult to let the young (though not very young perhaps), the less spiritual (but not necessarily less spiritual but having different spiritual gifts and vision) and otherwise less prepared young leaders to take over one’s own responsibility. Authority once possessed is difficult to pass on. God spoke, however. Moses listened, and in this case he would say no more about it! Moses was to charge, encourage, strengthen Joshua. His faithful general would have to do it all. Fortunately, the Lord wonderfully strengthened his faith by the recent victories led by Moses. We might liken it to Jesus who had so much success in just a few years but now was moving on. The disciples were to take over. Charge: Through a command Moses was to pass the authority on to Joshua. Encourage: Through strong words and good remembrances help Joshua think of the Lord. Strengthen: Through sharing in tough victories of the past, point to God’s strength. We should remember that this ending of Moses is largely a clear testimony to the end of the Law. The Law, associated with Moses, could not get you into the Land of Promise (i.e. Heaven). Joshua, literally Jesus, would need to take you into the Promised Land. This will be again addressed at the end of this book, but for now it is important to realize that God would be with him as with Moses. We have stepped back in time. The Israelites were in a similar way stepping back in time too. They were at the second entry way into the Promised Land. Some tribes already gained their inheritance. Joshua had won battles over those in walled cities. Their faith was being built up. A recording of what God has done in our lives despite our failures always reveals wonderful and marvelous things. In particular, it provides an avenue on how God has strengthened one’s faith over time. The Lord was building up the faith of the Israelites not so that they would feel great about their lives but so that they could and would take another step into the unknown future. We might feel some things in life are insurmountable. Impossible. But if it is God’s will, then you will see how God has prepared you for such a time. The issue is never about whether God’s powerful enough to do something. The issue is always our willingness to take the steps that our faith tells us is right. The Israelites would soon need to cross that Jordan and face many enemies. We have two specific questions for you. 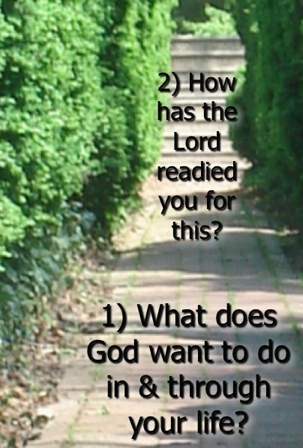 What does God want to do in and through your lives? They might be big or small things, but it is those things that God has been hinting for you to do. As I mention some things, do not laugh. What is easy for you might be one of those towering challenges to another. Here are some possibilities. How has he readied you for this? Has the Lord brought certain people or resources into your life? Has He begun to give you a vision or burden for a certain thing? Has He shown you victory over one area of life? Is there someone praying for you? Are there others wanting to go with you? We only have one life. God’s strategy is clear. Each of us have at least one spiritual gift. Each of us have the opportunity to ask God anything. The question is whether we are listening to Him and whether we are going to take the step forward. The next time you feel a sense of fear about what God is speaking to you about, turn around and look back. Start from your early life and see how God has equipped, trained comforted, protected and provided for you. This is the way God has built up the faith of His people. Remember those girls away from home for the first time. They learned about faith. Who brought the spiders in? Who drove them out? Why? Remember that big five-digit check? Who gave them the vision? Who didn’t have the finances to go forward? Who sent the check at just the right time? God is very involved in our lives. He is the best and wisest Dad of all! Check out other BFF reading! Check for more resources on the OT & NT BFF Biblical Training Library!